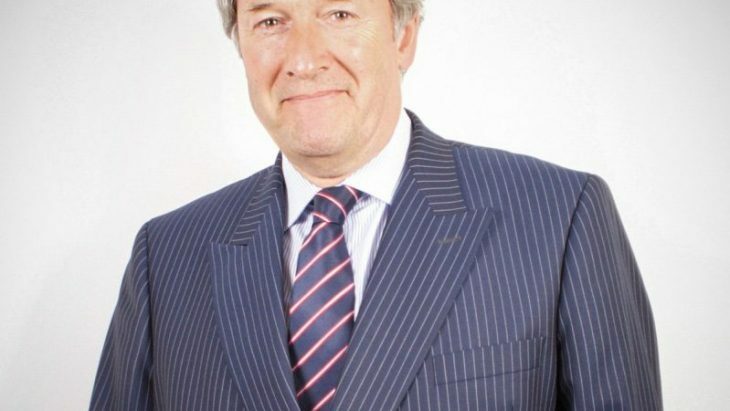 Richard Knowles, Chairman of the BCQ Group, explains the value Two Sides adds to his company’s success and the print industry in general. What aspects of Two Sides’ work are good for your company? If you look at the bigger picture, you see that we’re all in the same industry, and the more level the playing field across the potential competitors for print the better. Two Sides are excellent at putting the physical, offline view to our clients, either directly or indirectly, through consumer adverts or via our own industry. 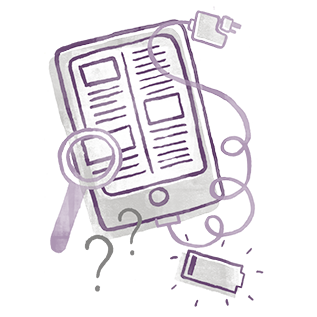 Everyone that talks about print is an advocate for the industry’s particular set of issues and opportunities, and Two Sides do it excellently. Why is it important for print to have its champions? facts and the value of print. This is what Two Sides do very well. It’s important that printers support Two Sides to help preserve the paper industry and safeguard the future of print. Everyone involved in the supply of printed media needs to support this crucial campaign. 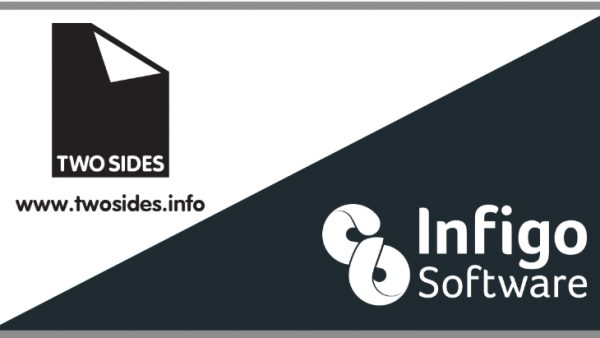 Which Two Sides resources do you and BCQ Group use? When we carry out marketing, we use many of the resources that Two Sides have put together. Some of the facts such as two tonnes of paper is recycled every second in Europe and forests increase by 1,500 football pitches every day are wonderful and accurate pieces of information to use. You have conversations with clients in which you throw these things in and you can tell that they’re impressed, and it really helps the case for print and paper. It’s adds a little bit of cement around the client relationship. 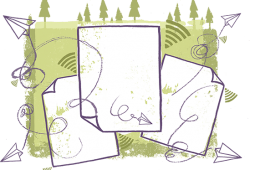 How important is print sustainability to your clients? There are some clients that are really keen on it and others that pay more lip service to it, but we do what we can to push them in the direction of the more friendly products. 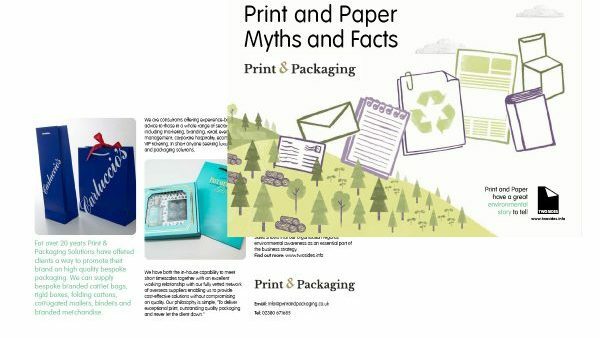 Many people don’t know the facts behind the sustainability of print and paper and there are so many greenwash claims out there that need to be challenged. Two Sides have done some excellent work in this area. Because they have done a lot of the work already then all we need to do is trot out the words and the videos. 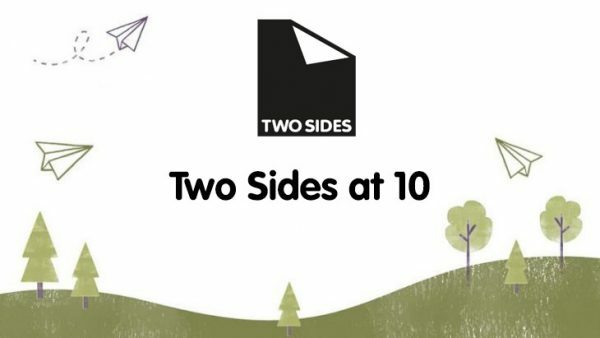 What else would like to see more of from Two Sides? I’m not one to give praise lightly but Two Sides have managed to leverage their contacts and their methods of getting their message across in such a way that it hasn’t been a tremendous drain on the industry. It’s a minimal membership charge, and what they give to their members is a lot more than other membership organisations that cost a lot more. It’s actually more relevant to what really counts – marketing to your clients and the wider picture for the years to come. I think they’ve got it pretty much right.